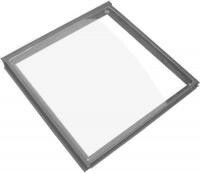 Fit an Extra roof vent for Hercules brand greenhouses. As standard these vents come with top quality Bayliss XL automatic openers adjust with the climate to provide essential extra ventilation when warm for increasing levels of air circulation. One less thing for you to remember.